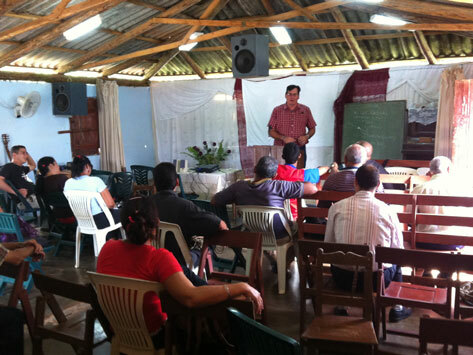 One graduate of the MOCLAM program is in the process of establishing a regional training centre in his church, where he and other graduates can pass on what they have learnt through their studies. This graduate aims to run classes one day per week, 9am – 4pm, with a one hour break for lunch. Students will study one subject in the morning, and another in the afternoon. Each subject will take ten weeks to complete at which time all participants will be required to sit the MOCLAM exam. Under this system, students will complete 8 subjects per year. It is expected 25-30 will begin later in 2014.